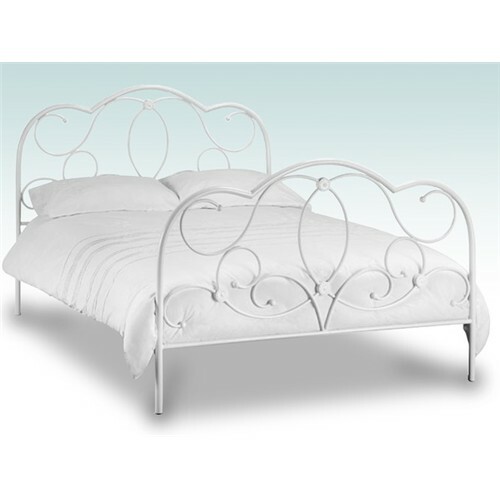 The Arabella’s soft curves and smooth lines give the bed a highly sophisticated and individual look. 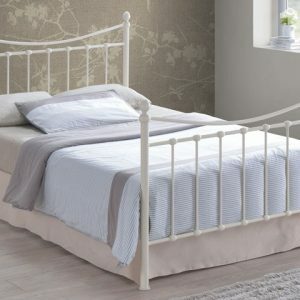 Finished in a stone white eggshell textured finish, this striking metal bed adds a touch of class to any bedroom. 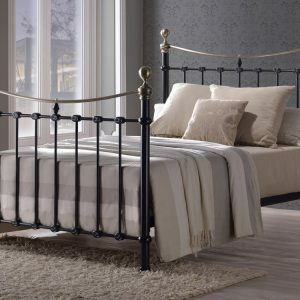 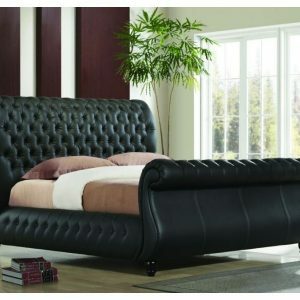 Fitted with sprung slatted base for superior comfort and prolonged mattress life.